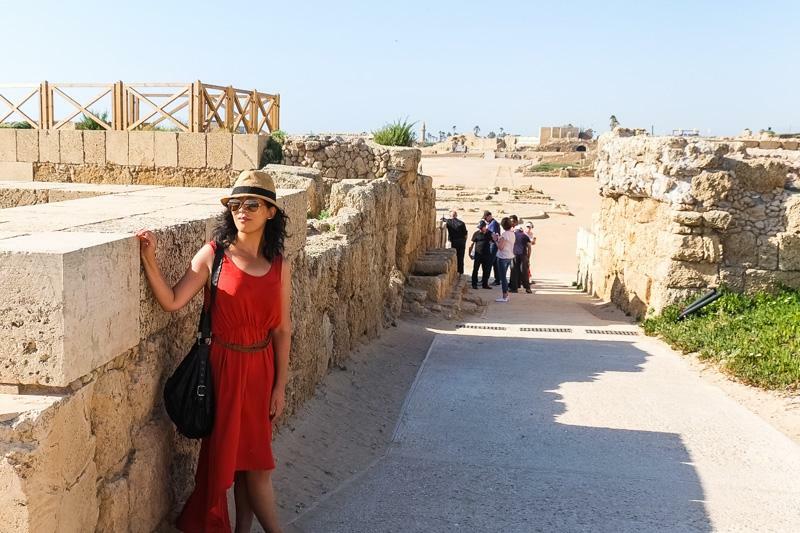 On the way back to Haifa, I had the chance to explore the Ruins of Caesarea, an ancient Roman city on the Coast of Israel. 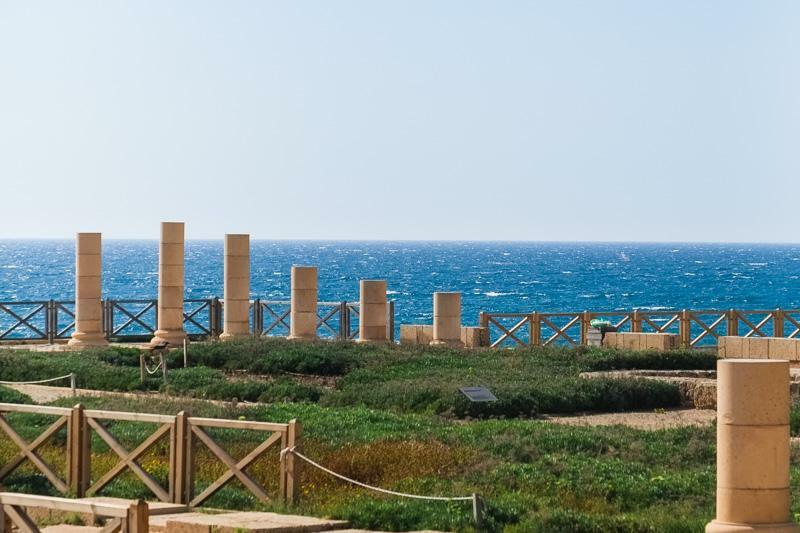 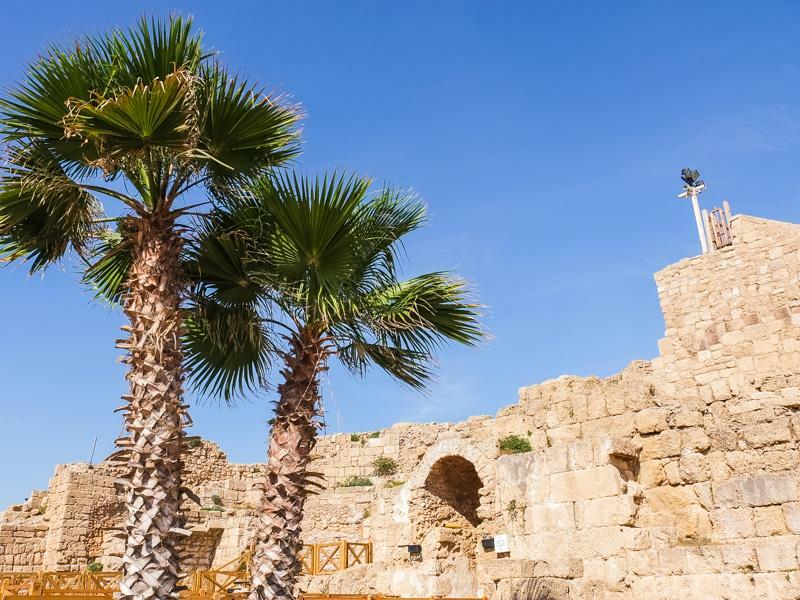 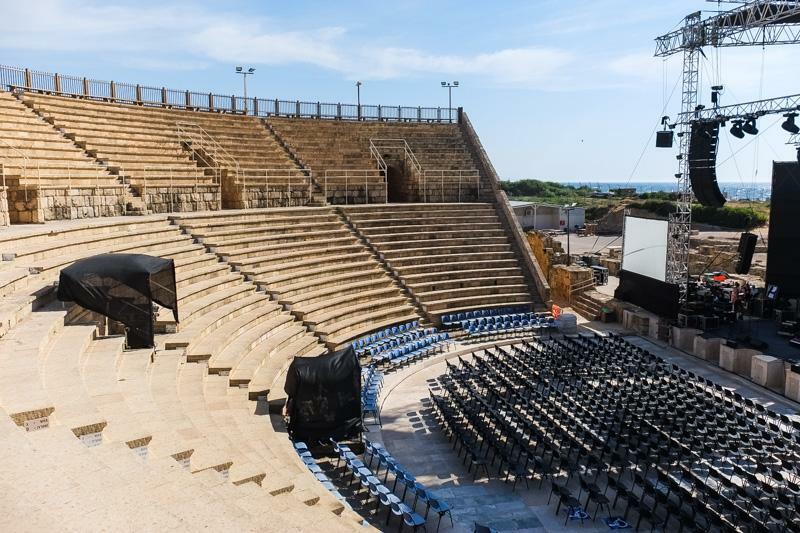 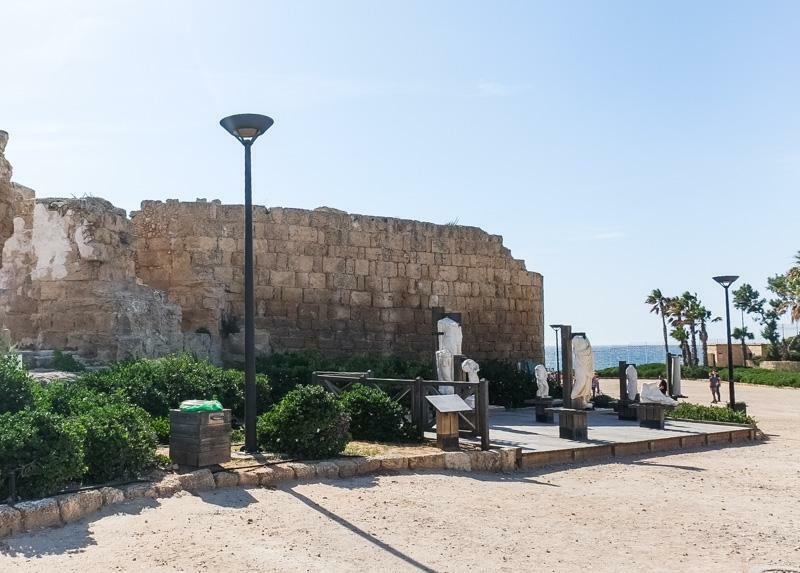 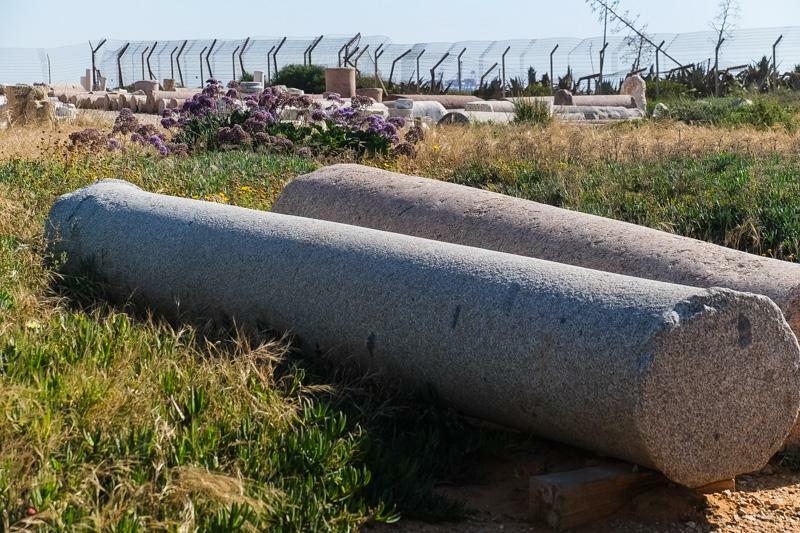 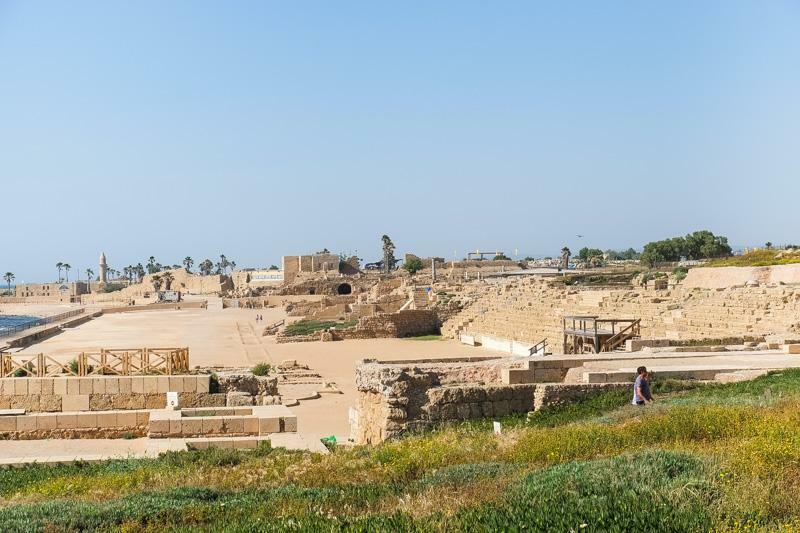 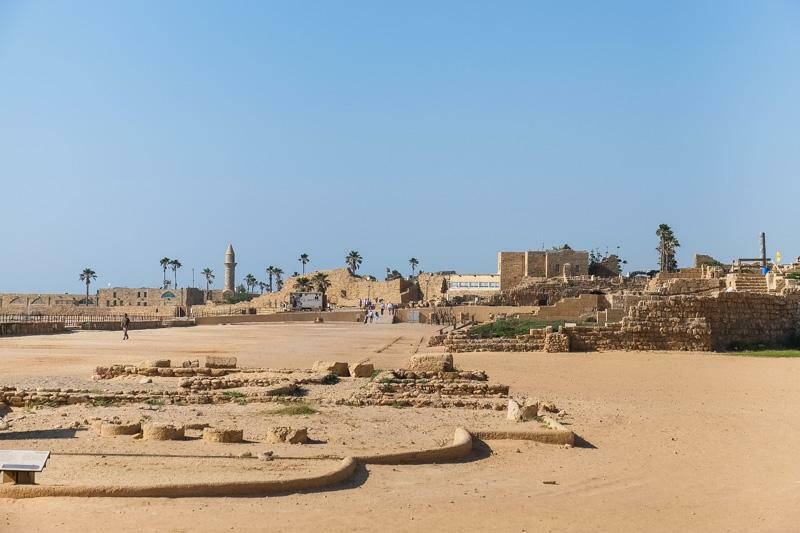 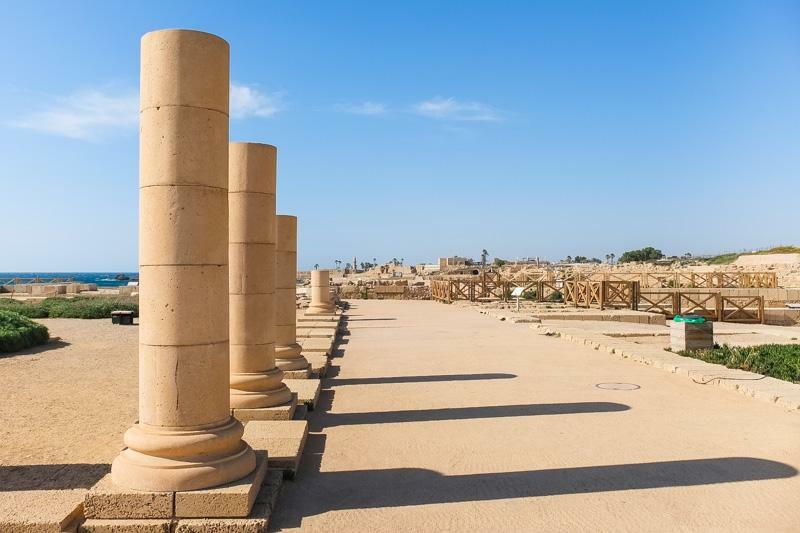 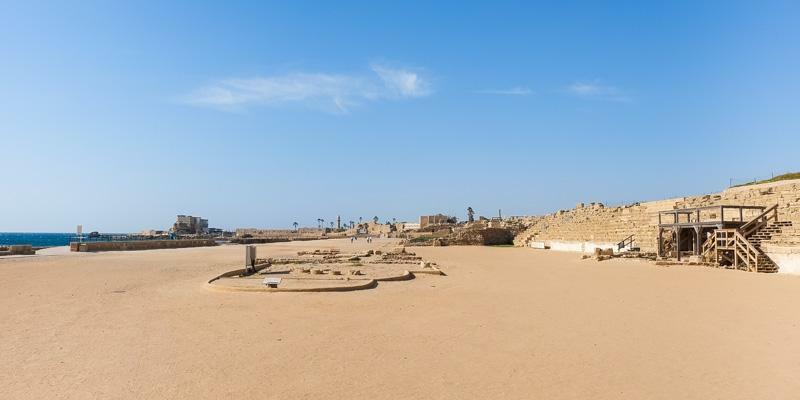 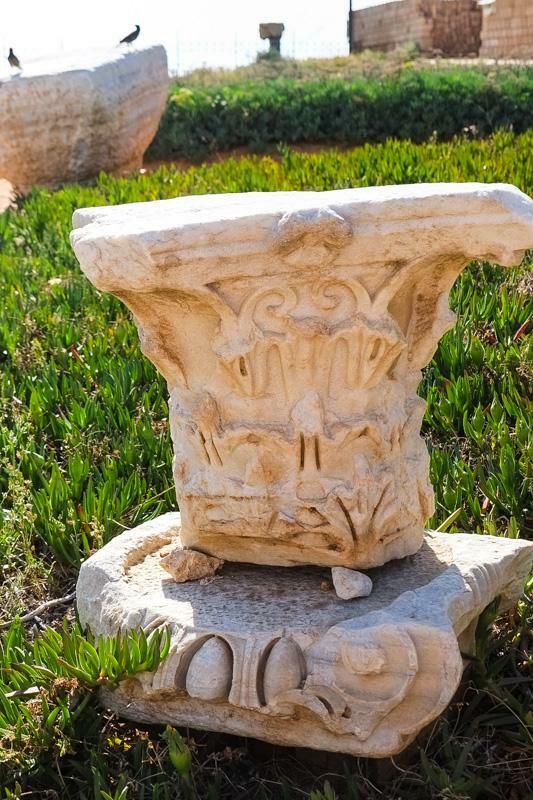 King Herod built Caesarea as a luxury city carefully planned 2000 years ago, with streets and monuments such as temples, a palace, roman bath and entertainment sites. 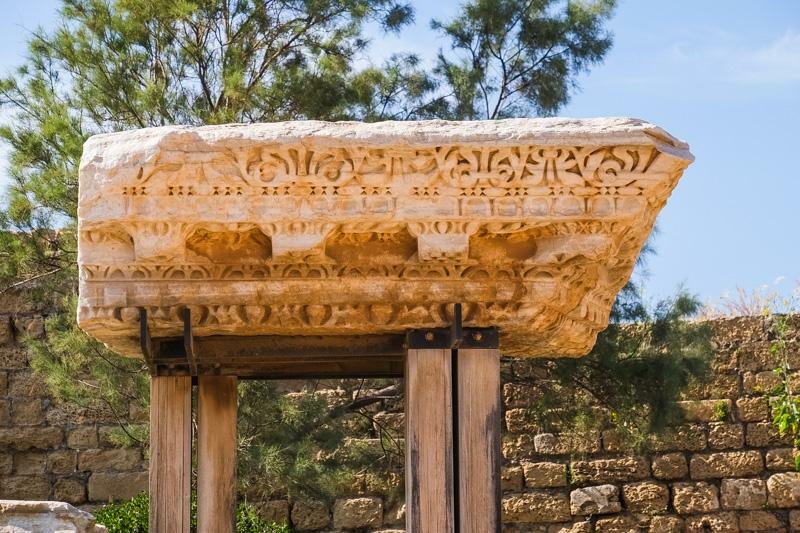 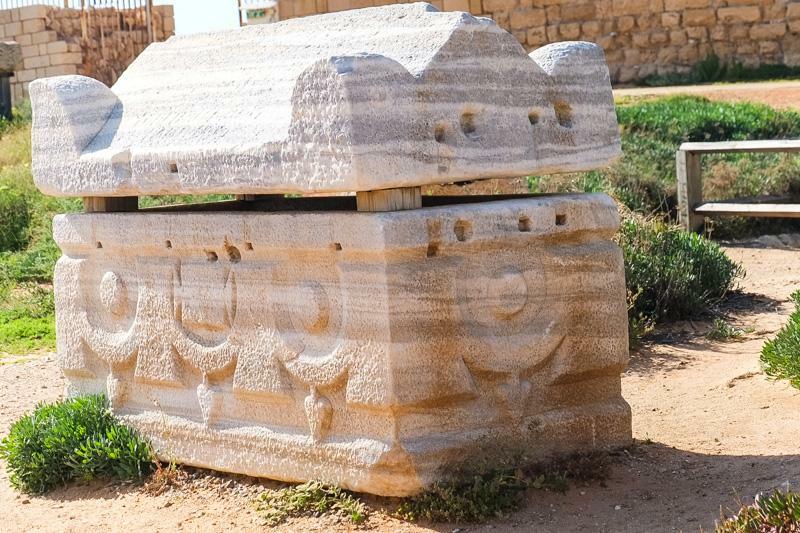 The stone of the columns were brought from all over the Mediterranean and Eastern coast, especially from famous quarries of Greece, minor Asia (Turkey) and Egypt. 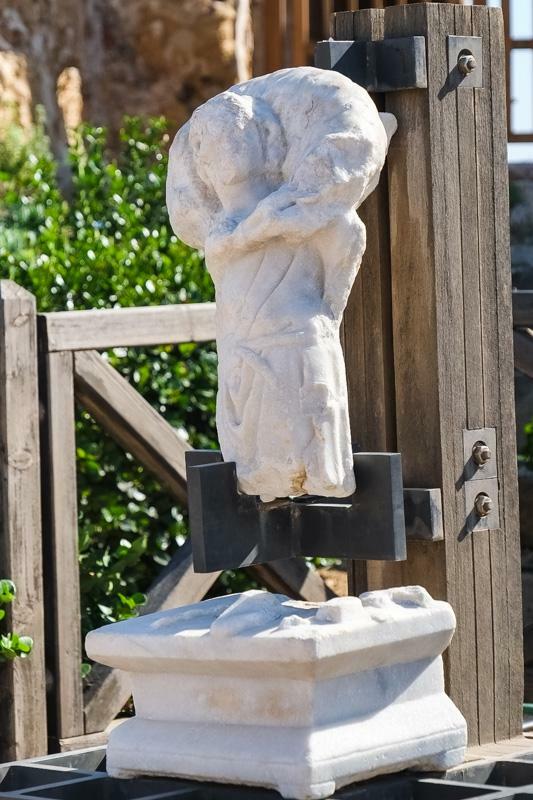 These are just outside of the entrance to Hippodrome. 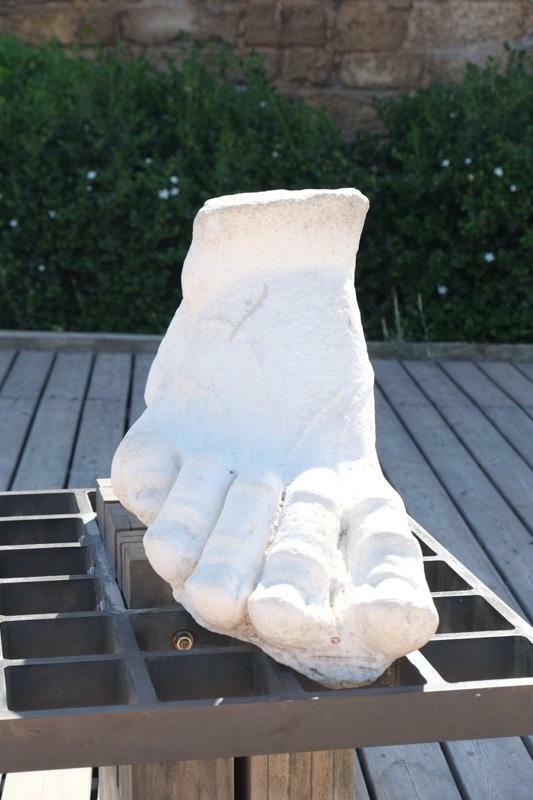 Guess what were these for originally? 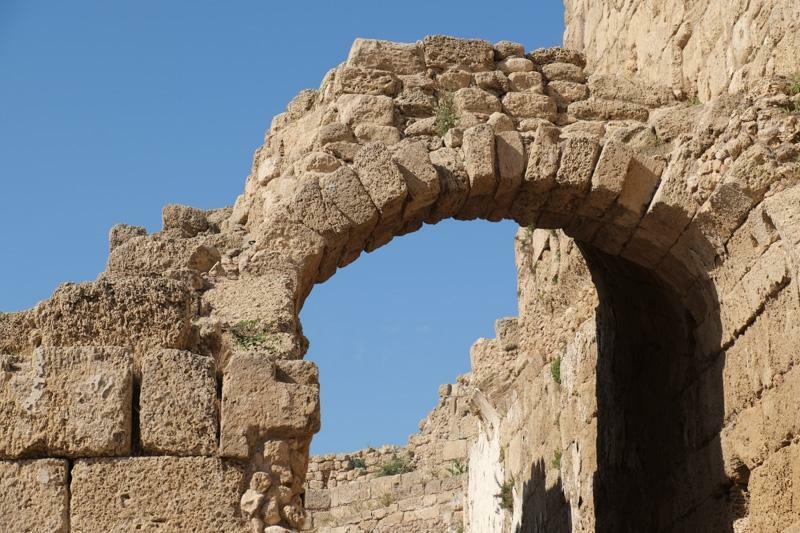 Ready for the answer? 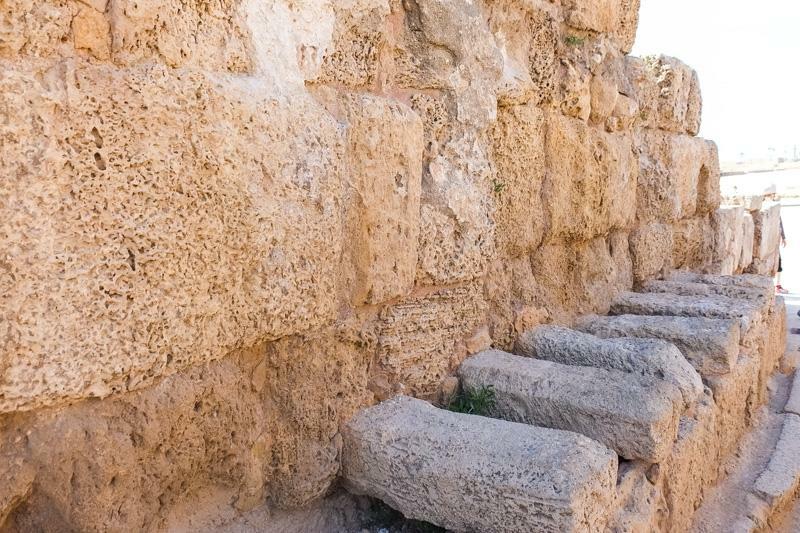 Ok, these functioned as toilet back then, 2000 years ago. 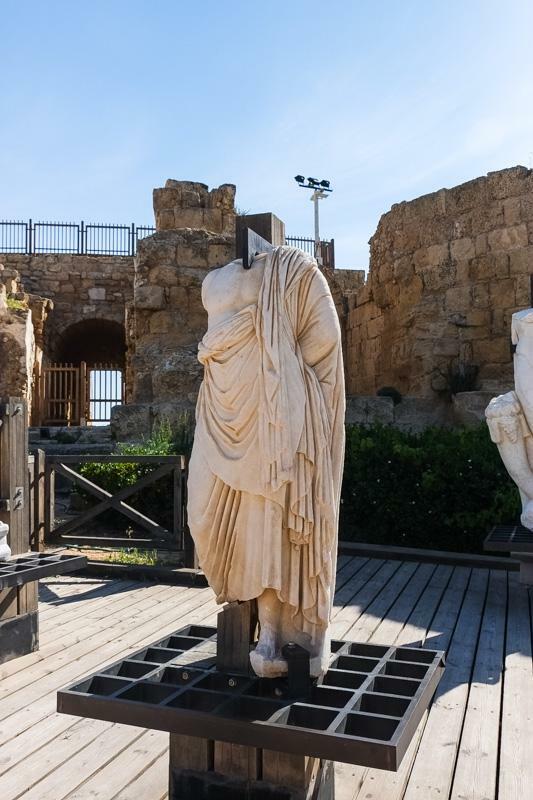 People went to release themselves in the open air and have a chat with each other before going into the hippodrome to watch a show. 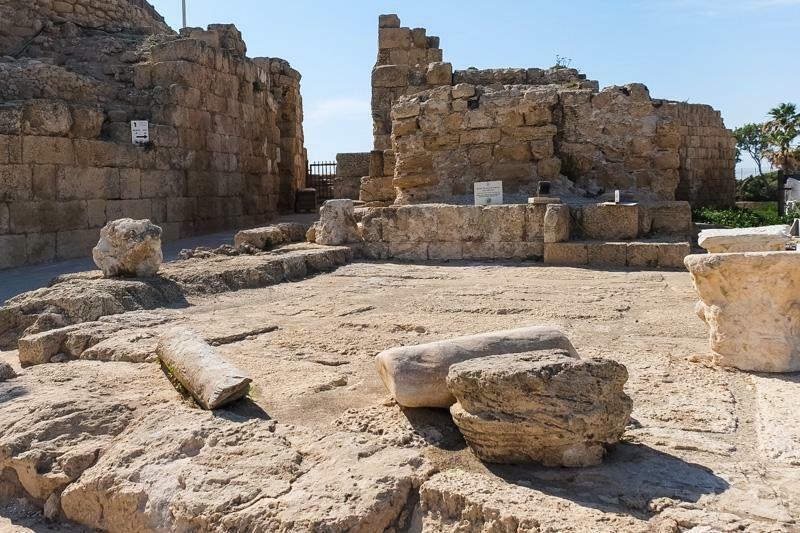 Ocean water was the natural flush… Way to socialise!